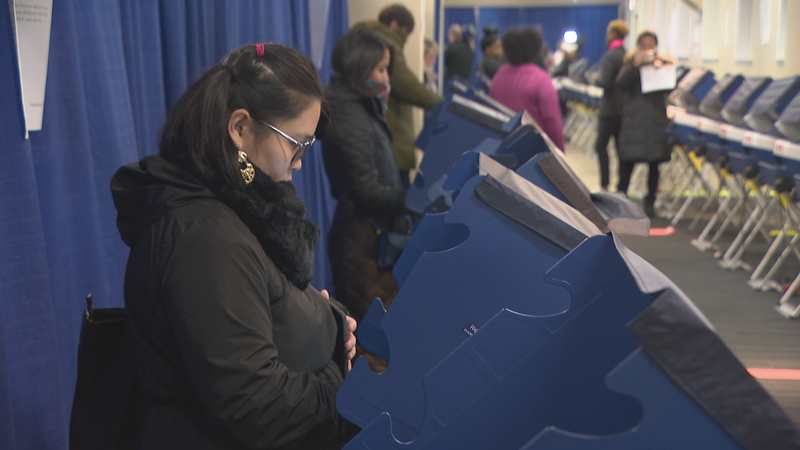 CHICAGO (AP) — There are 14 candidates — all promising to steer Chicago in a new direction — when voters cast ballots Tuesday for the city’s next mayor. Those looking to succeed retiring Mayor Rahm Emanuel include veteran politicians — a couple whose fathers also held elective office — businessmen, former prosecutors and community activists. Cook County Board President Toni Preckwinkle is among the most well-known, along with former Commerce Secretary William Daley. He is the son of legendary Mayor Richard J. Daley and the brother of former Mayor Richard M. Daley, who ruled Chicago for decades. Illinois Comptroller Susana Mendoza, former federal prosecutor Lori Lightfoot and attorney Gery Chico, who has headed several city departments including the Board of Education, round out the highest-profile candidates. It’s likely Tuesday’s vote will lead to a runoff. If none of the candidates receives more than 50 percent of the vote, the top two vote-getters will face off April 2. Although a nonpartisan election, the candidates are all attached in varying degrees to the Democratic Party. The Republican Party has virtually disappeared from the city. The variety of candidates reflects the many issues facing Chicago’s next mayor: poor neighborhoods in need of investment, overwhelming pension debt, low-performing public schools and a crime rate that is often pointed to as among the nation’s worst. The decree is the most important consequence of the 2014 fatal shooting of black teenager Laquan McDonald by former officer Jason Van Dyke. A video of the shooting sparked demonstrations and resulted in Van Dyke's murder conviction. Illinois’ attorney general sued the city to force the court’s involvement after years of inaction by the City Council, which dealt with systemic police misconduct in recent years by approving millions of dollars in lawsuit settlements. Emanuel’s popularity plummeted after release of the McDonald shooting video and he eventually decided not to seek re-election to a third term, leading to the scramble to succeed him. Voters will also choose among candidates for the 50-member City Council. The city has a tradition of having a dominating mayor and a City Council that isn’t aggressive in serving as a separate branch of government, according to Bennett, the political scientist. That has meant the performance of various city departments hasn't received adequate scrutiny.